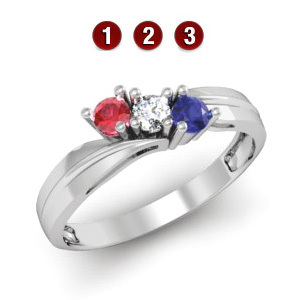 The 14kt white gold Embracing Arms mother's ring features three simulated 3mm round gemstones of your choice. Approximate weight: 4.0 grams. Made in the USA.